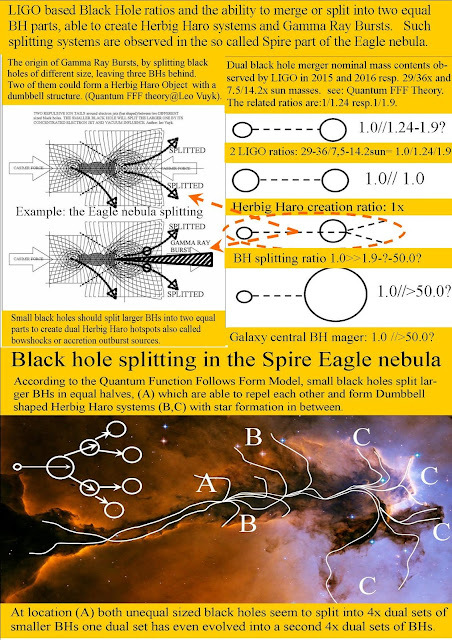 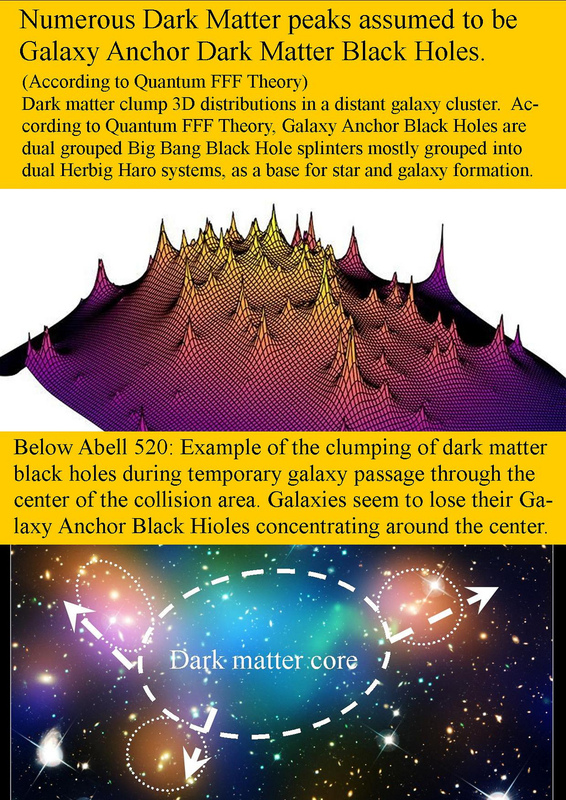 Synopsis Connecting Higgs to Dark Matter and Black Holes! 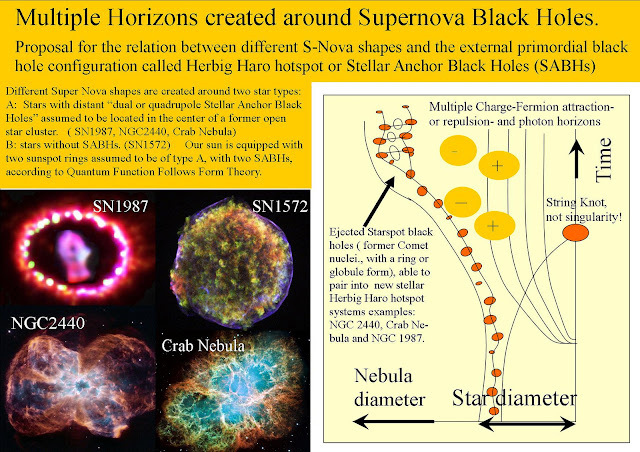 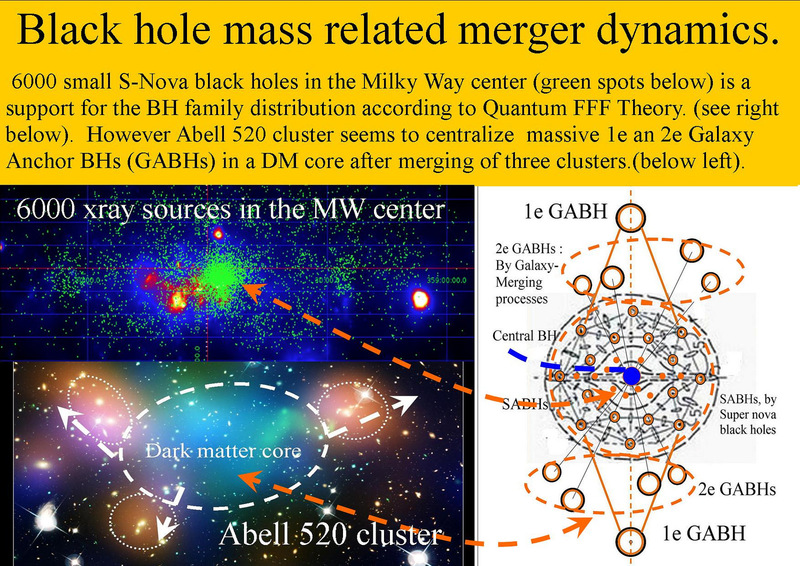 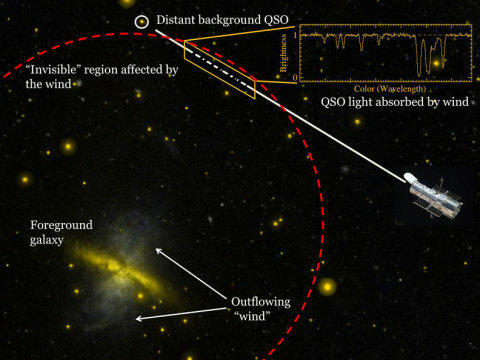 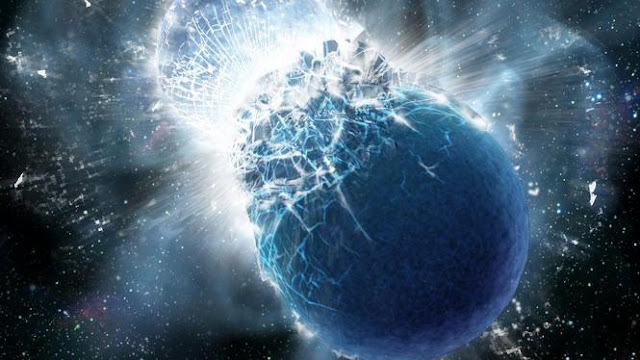 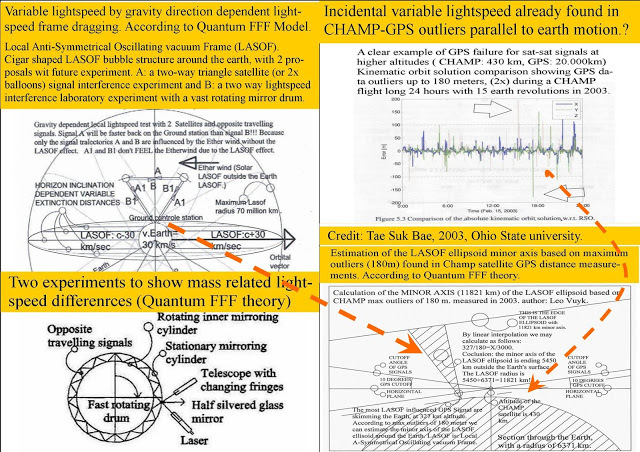 Synopsis Connecting Higgs to Dark Matter.! 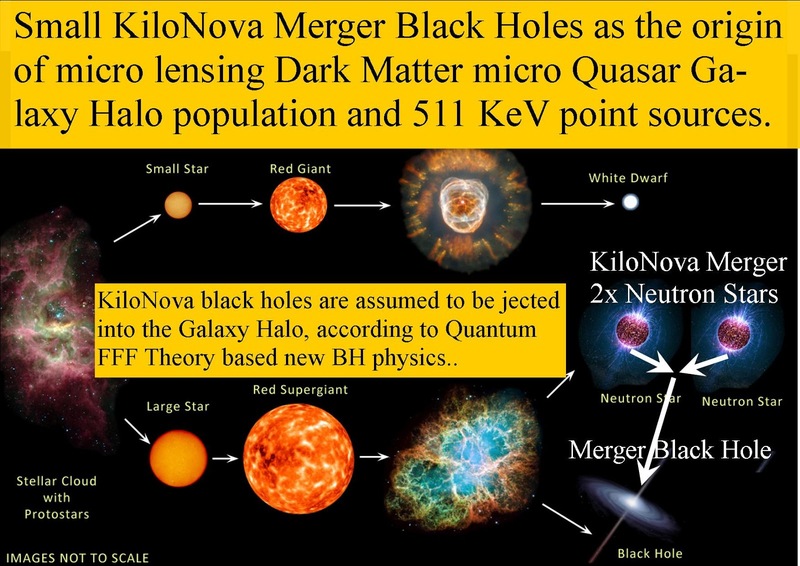 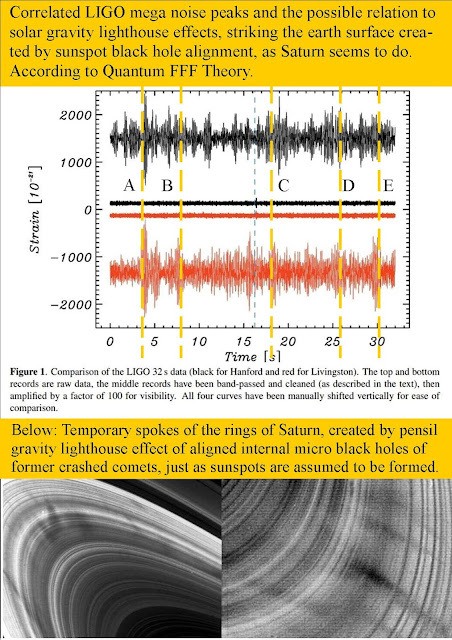 Indeed also according to Quantum FFF Theory, which assumes that interference black hole nuclei can be formed by Higgses of three or even four photon knots. 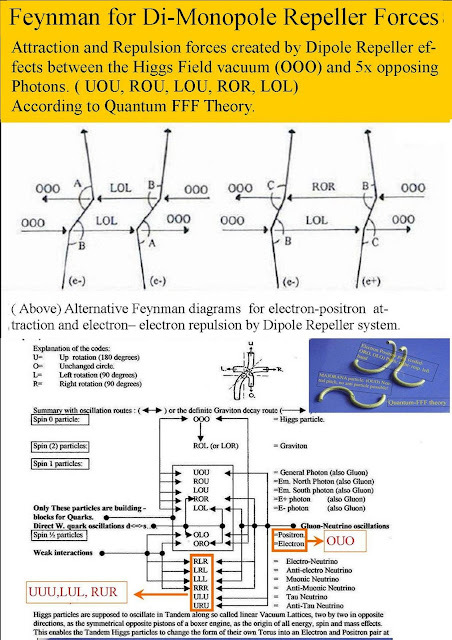 Photons are supposed to be Gluons at short quantum distances ( In Q-FFF Theory)..
New theoretical work places more stringent constraints on dark matter properties derived from particle physics experiments. 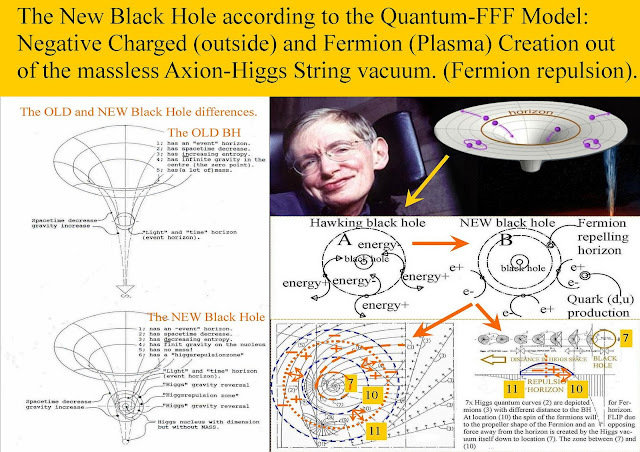 According to Quantum FFF Theory, ( Function Follows Form at the quantum scale) Mass is the potency of rigid string based Fermions and Bosons, to produce and radiate Gravitons by the collision process, between mass less but energetic oscillating transformable Axion Higgs vacuum field particles and.. more complex shaped compound Fermions or Bosons (W + Z+Higgs family). 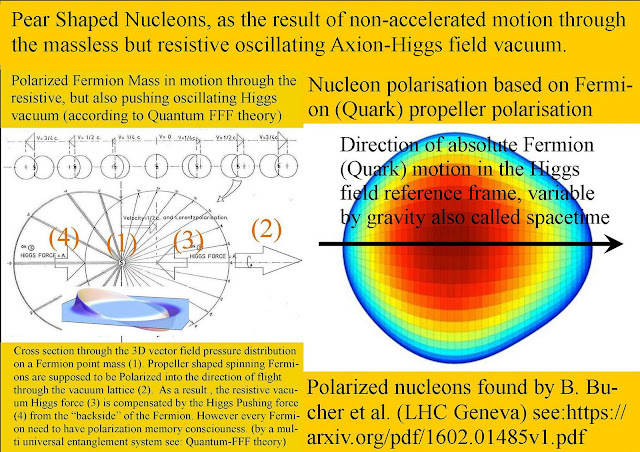 Gravity is assumed to be the statistical result of local dual opposing graviton pressure (instead of attraction) with opposing Axion Higgs field particles on fermions. A recent example of local vacuum pressure duality is called “Dipole Repeller” gravity by Yehuda Hoffman also suggested partly in line as Emergent Gravity by E. Verlinde. 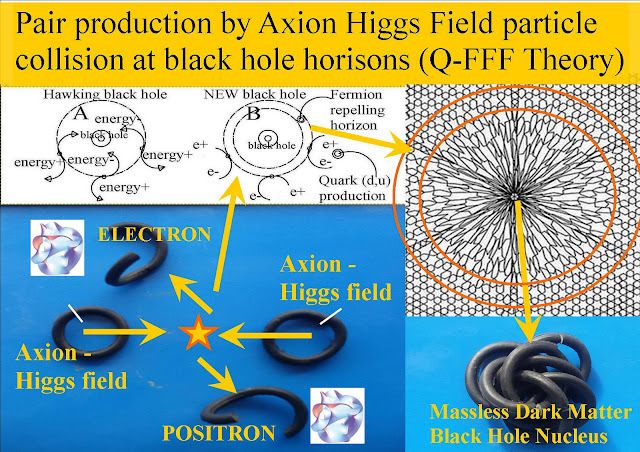 More extended loops or "arms" of each rigid string particle is supposed to create more Axion transformation into Gravitons photons per Planck time unit. 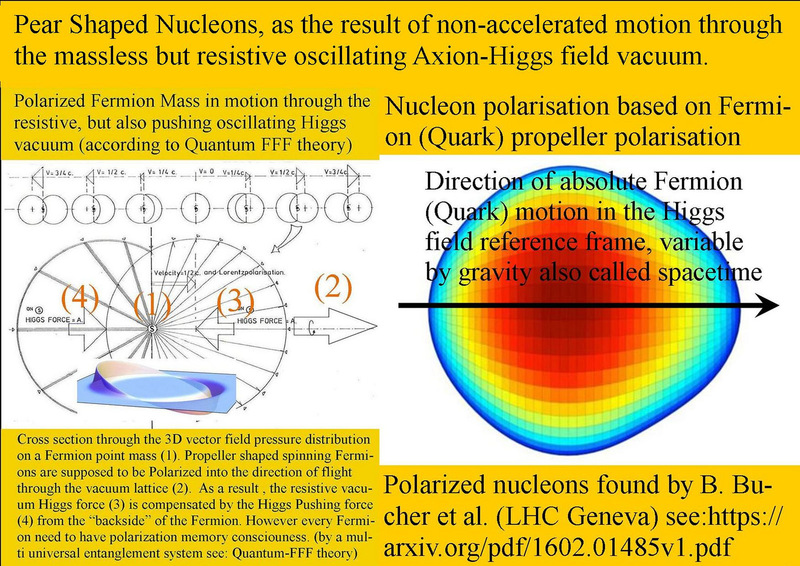 Secondly, gravitons are assumed to exert not an attraction force on fermions and bosons but only a reduced pressure force in opposition to the vacuum pressure of the Axion Higgs field..
Black holes do not radiate gravitons but “eat” the local vacuum particles leading to a single repeller effect on the growing Black hole nucleus. 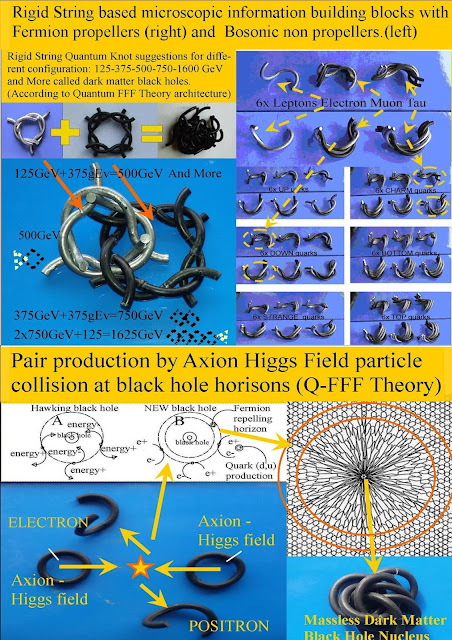 The ring shaped Axion Higgs field particles are supposed to oscillate in tandem (as the boxer engine pistons) along each vacuum lattice with the local Planck length and transfer information of monopole photons through the whole universe as long as they do not collide with fermions or bosons. 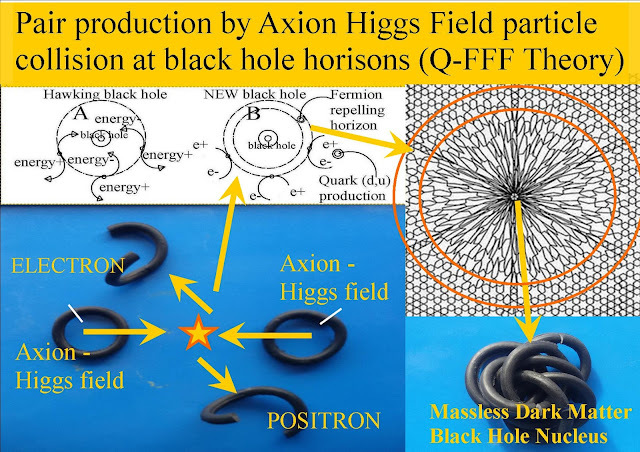 The new physics black hole nucleus is represented as a compact quantum knot of Axion Higgs particles, compressed together by the inflow of vacuum particles. As a consequence the incoming Axion Higgs field pressure is the only origin of the Gravity pressure effect around each black hole nucleus . 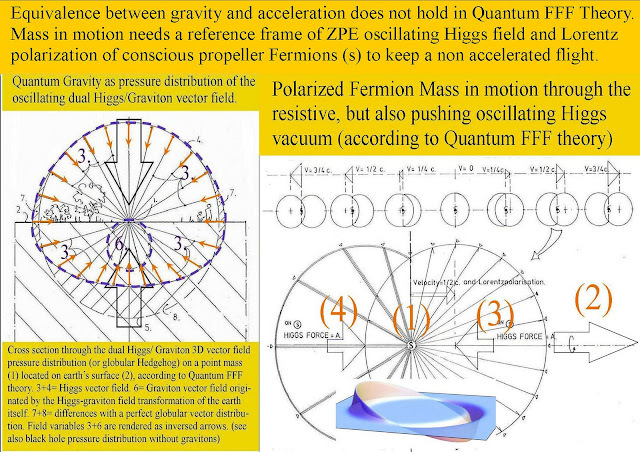 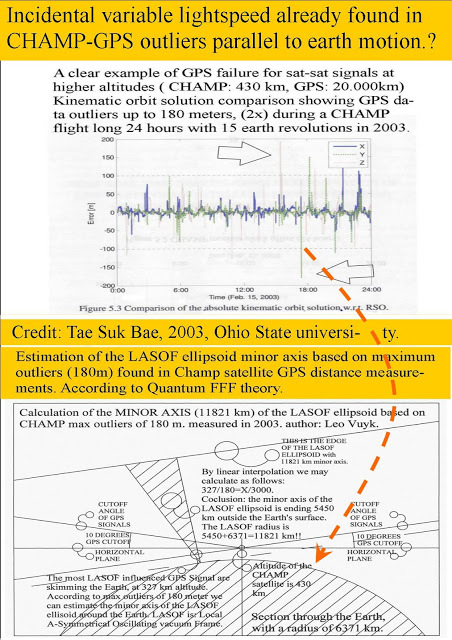 In Quantum FFF Theory, the inertial mass effects of the earth and all atomic fermions is supposed to be originated by the real Lorentz polarization of all fermionic mass of the earth mainly pointing into the direction of motion around the sun, as the opposing effort for the resisting vacuum. 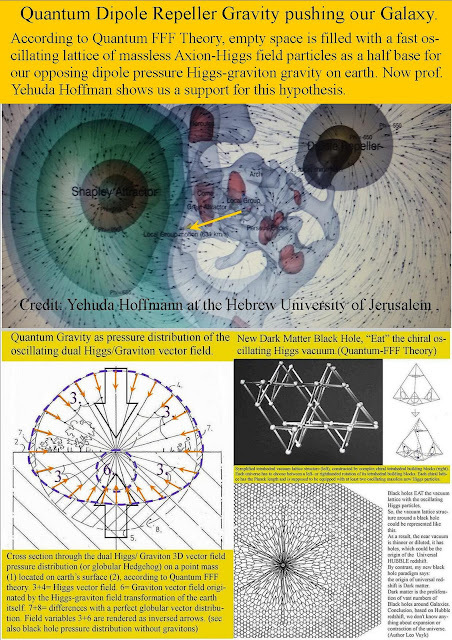 Rigid string shaped Fermions are assumed to have a real propeller shape able to plow into the direction of motion through the local space time creating vacuum lattice. 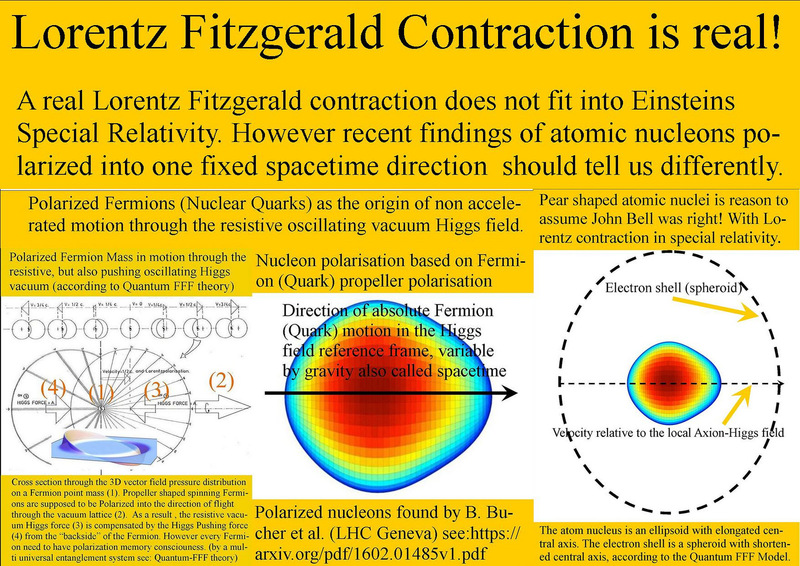 Bosons without a propeller shape ( Higgs and Z ) including black hole nuclei, seem to be not able to polarize and will present signals to be "stuck" in the local solar centered vacuum lattice. Emergent Gravity and Dipole Repeller effect are assumed to be the same Rigid String Process. 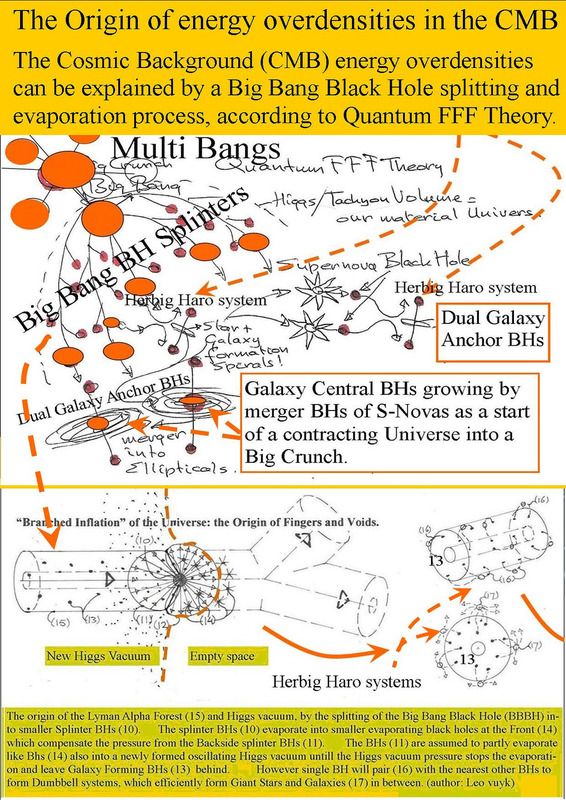 According to Quantum FFF Theory, mass is the potency of rigid strings, to produce and radiate Gravitons to be produced by the collision process, between mass less ring shaped Axion Higgs vacuum field particles and Fermions or Bosons also called Dipole Repeller gravity or Emergent Gravity. More extended loops or "arms" of each rigid string particle is supposed to create more Axion transformation into Gravitons or other electromagnetic monopole photons per time unit. 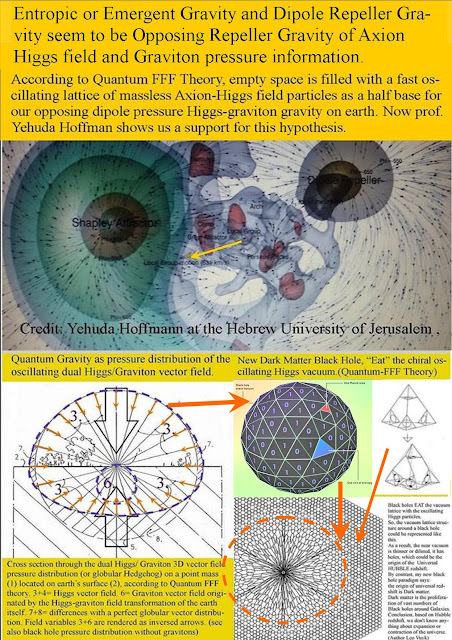 So, Gravity can be described as the statistical difference between the collision pressure of “new” gravitons opposing the pressure of Axion Higgs field particles all around us. Emergent gravity as proposed by E.Verlinde and Dipole Rrepeller gravity by Yehuda Hoffman, are in line with this assumption. 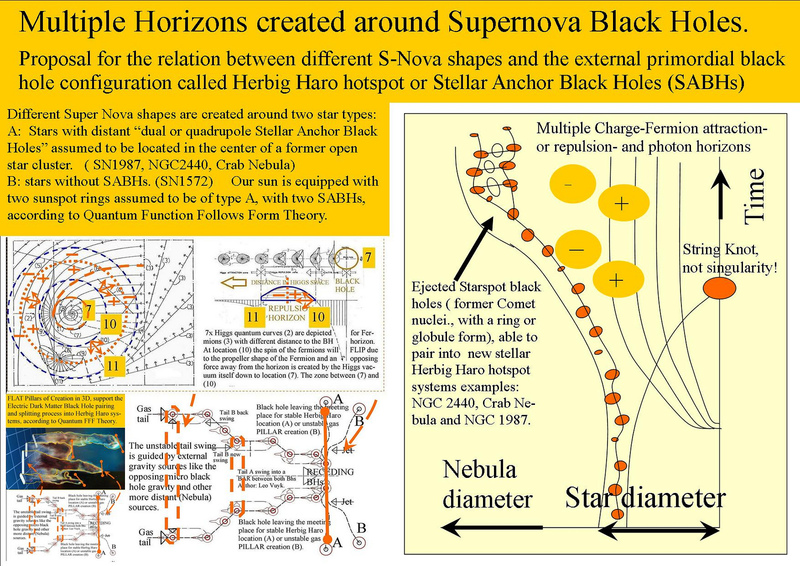 Non inertial black hole effects are the other side of the coin.. The ring shaped Axion Higgs field particles are supposed to oscillate in tandem (as the boxer engine pistons) along each vacuum lattice with the local Planck length and transfer information of monopole photons through the whole universe as long no fermion or boson comes too close. So if the new physics black hole nucleus is represented as a compact quantum knot then there is no graviton production supposed. 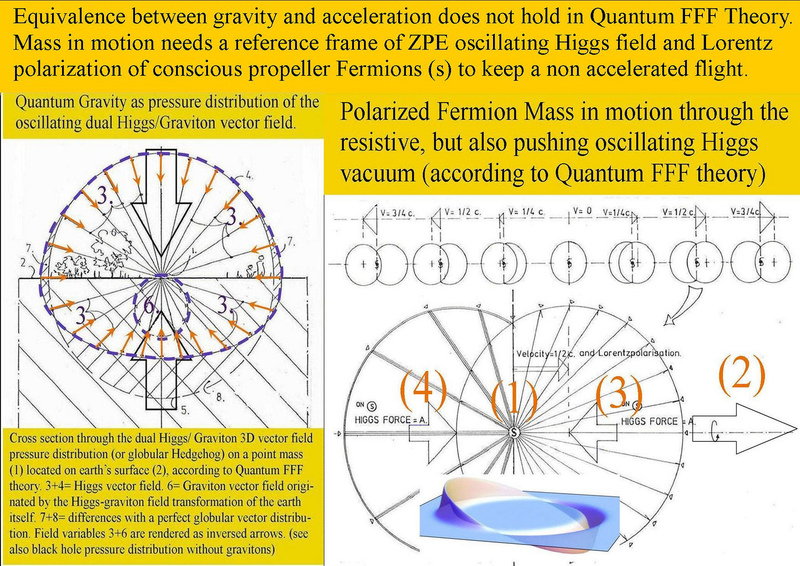 Entropic or Emergent Gravity and Dipole Repeller Gravity seem to be Opposing Repeller Gravity of Axion Higgs field and Graviton pressure information. The new physics Black Hole Nucleus: Gravity without inertial mass effects !! 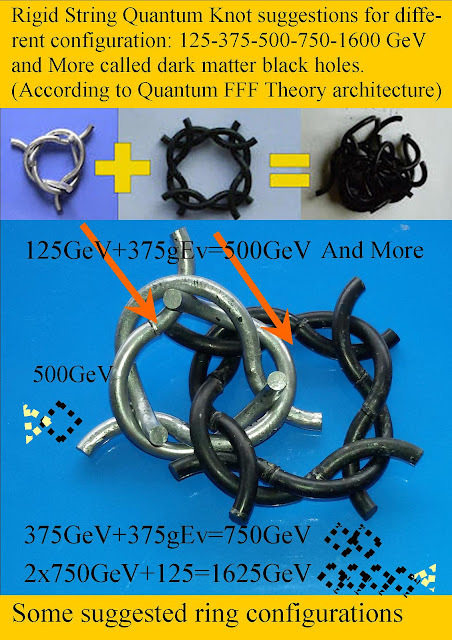 According to Quantum FFF Theory, Mass is the potency to produce Gravitons which are thought to be produced by the collision process between mass less ring shaped Axion Higgs vacuum field particles and Fermions or Bosons like the 126GeV Higgs and Z or W particles. 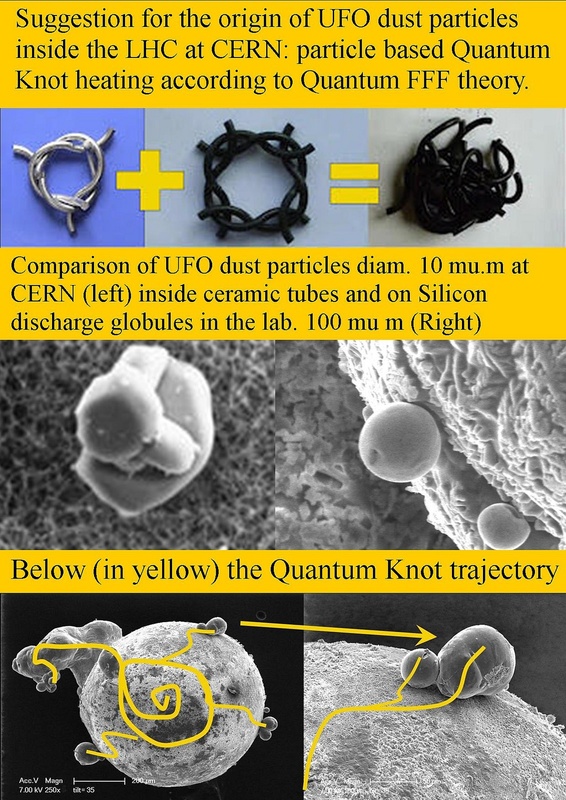 More extended loops or "arms" of each particle is supposed to create more Axion transformation into Gravitons and more gravity and more inertial mass effect.. 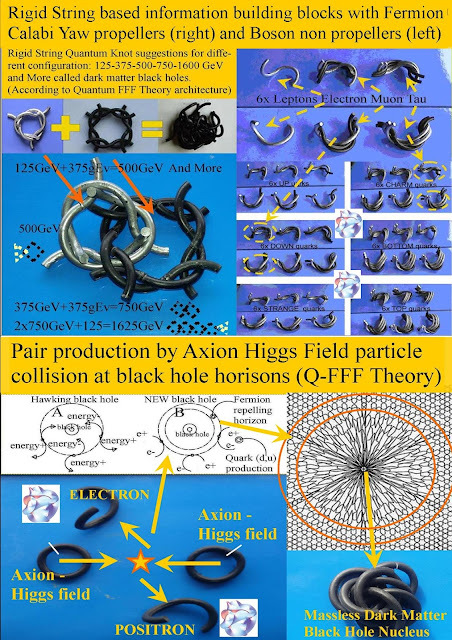 However, the ring shaped Axion Higgs field particles are supposed to oscillate in tandem along each vacuum lattice with the local Planck length. 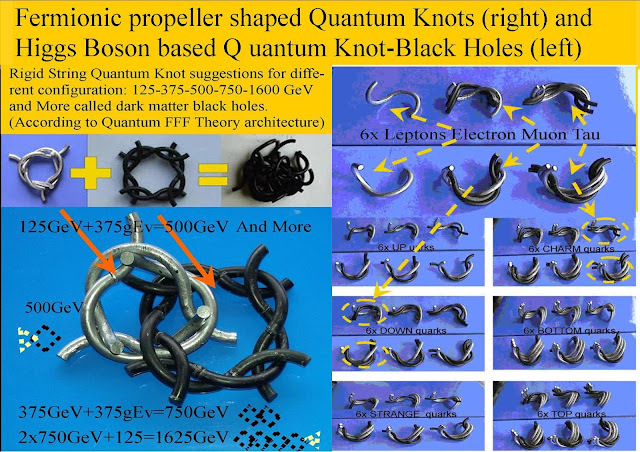 So if the new physics black hole nucleus is represented as a compact quantum knot ( see image) then there is no graviton production at all supposed. 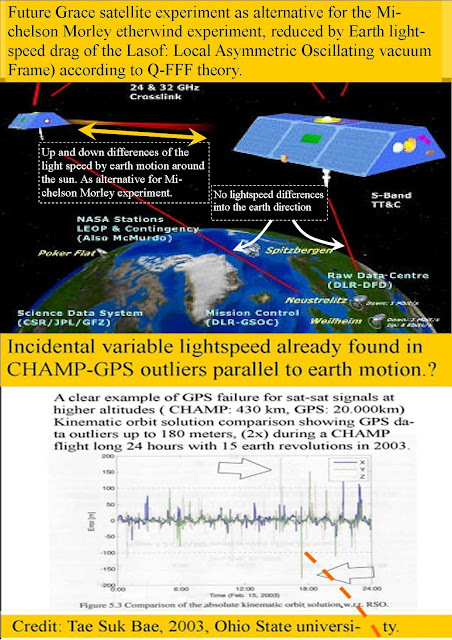 In Quantum FFF Theory, the inertial mass effects of the earth is supposed to be originated by the real Lorentz polarization of all fermionic mass of the earth mainly pointing into the direction of motion around the sun, as the opposing effort for the resisting vacuum . 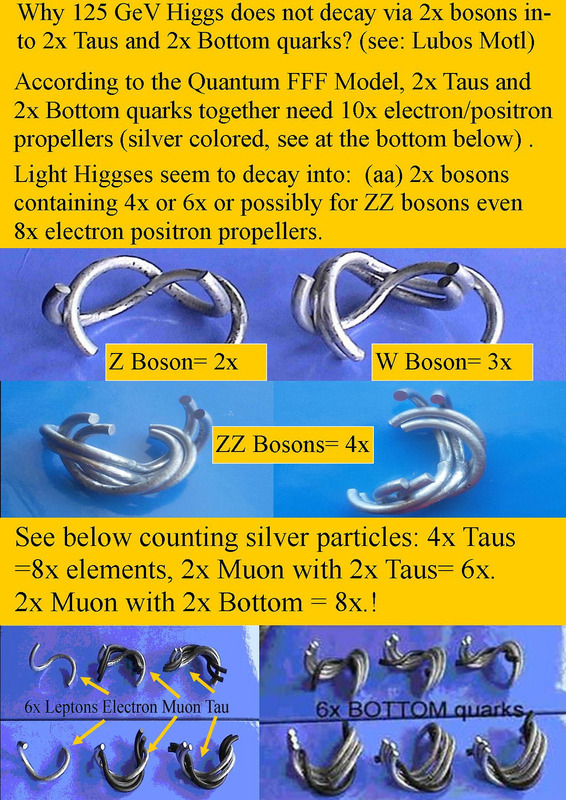 Conclusion Bosons (Higgs, W and Z particles) seem to be not able to polarize and will present signals to be "stuck" in the local solar centered vacuum lattice. 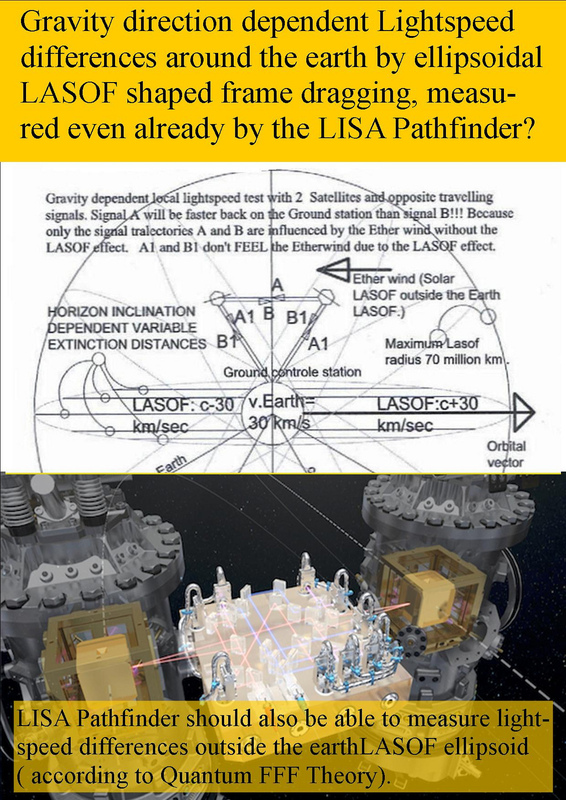 The LHC could perhaps be able to show this anti inertial mass effect created by the solar reference frame or solar LASOF ( Local Oscillating vacuum Frame).